Why does the Window menu sometimes turn red? When Sailwave opens a new file, it forks a completely new instance of itself. 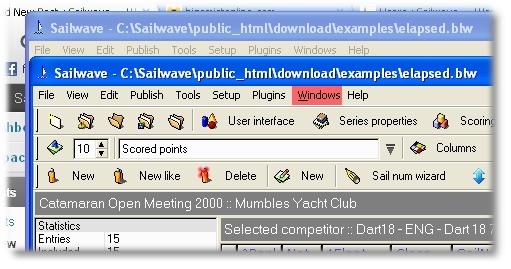 The window menu will go red if there are two or more Sailwave instances running with the same file loaded. It’s just a warning that you have the same file loaded more than once.